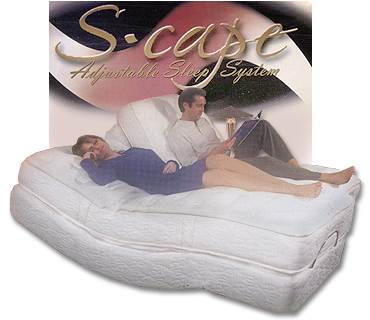 Sleepcare, Inc. mattress factory located on Long Island, New York. Residential Electric Adjustable Beds & Replacement Mattresses. Our deluxe models embody a number of features not found in most adjustable beds, for example: easy-to-operate wireless remote with back-lighted soft rubber buttons for ease of night time operation, two body massage motors with automatic 30 minute turn off and fabulous Wallhugger action. Whatever your position in bed, Wallhugger action keeps you in touch with your night table for constant access to phone, lamp, radio or medication no matter what the configuration of the medium firm luxurious mattress. Please call us for more information about the features of these wonderful beds. Need a new mattress for your adjustable bed? Sleepcare makes 4 superb models! Electric Adjustable Beds: Customers seem to regard the Electric Adjustable Bed as the absolute ultimate in luxurious comfort and Sleepcare's prices are at surprisingly affordable. 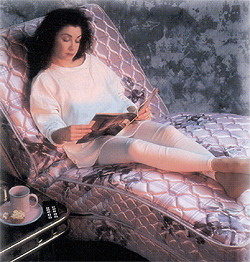 The beds operate with a wireless remote and can be stopped at precisely the desired comfort position. Available in 39 x 80; 54 x 80; 60 x 80 and Dual King sizes. Our Adjust-A-Magic model features a soothing massage, maintenance free electric motors and brackets sized to fit your headboard.